With an unwavering commitment to quality and dedication to sincere and helpful customer service, Farrer has continued to provide restoration services to Middle Tennessee for over 55 years.  Since the mid-1950s, Farrer has built and sustained a reputation in the Middle Tennessee community as the top restoration and remodeling service around. The quality of our superior restoration services speaks directly to the validity of our renowned reputation! In addition to our restoration services, our specialty is ensuring that homeowners receive the proper restoration and repair service their home or business so desperately needs. Farrer has decades of experience working with and building strong relationships with insurance companies. We act as the liaison between you and your insurance company so you can have peace of mind knowing you will receive the restoration service you need. Learn more about our restoration, remodeling and other services by calling (615) 893-6120. Have an after hours emergency? Call (615) 893-6835.